The Times charitably characterized this moment as a cap to “one of the fastest and largest start-up fund-raising frenzies in recent memory.” I mean, it’s now known as the goddamn Scooter Wars. Last month, Bird began raising $150 million at a $1 billion valuation, which quickly rocketed higher because of investor interest, according to one person. Bird, which was founded by Travis VanderZanden, a former executive at Uber and Lyft, in September, had previously raised $15 million in February and $100 million in March. A Bird spokesperson wouldn’t comment to the Times, but the latest influx of funding was reported earlier by several other outlets. The capitalists are gushing with joy about their scooter investments, so they’re probably just champing at the bit to spread the good news about their scooter firm. Bird, like the other one-word scooter startups, lets you find a scooter using an app and charges a per-minute fee. You drop it wherever you stop, which expectedly ended up annoying so many people that cities like San Francisco had to roll out a permitting system. My colleague Andrew Collins, grudgingly, tried out a Bird last week and fell in love with the idea. Ah, cool. So there’s no other idea than ... monopolizing the market? Which ... hasn’t worked for Uber, yet. After nearly a decade in business, Uber still burns cash at a significant rate. A Bloomberg writer scratched out some numbers the other day, too, and found the potential margins in a long-running scooter business seem pretty damn low. 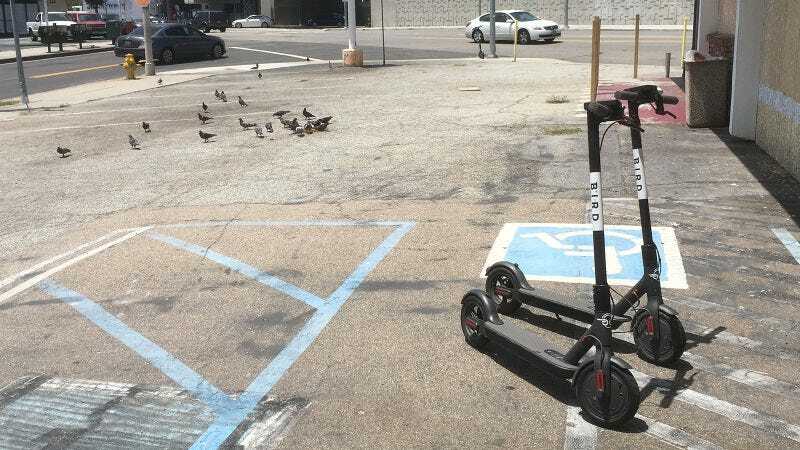 Bird draws comparisons with Uber, but there are key differences, the main one being that Bird actually owns the scooters. This means that the (theoretical) profit margin on scooter rental is pretty low, with estimates of about 10 percent. If you figure that Bird might make around $2.50 per ride in revenue, there are some estimates that Bird might make $14 million a year. But after paying for maintenance, charging and overhead, there might only be $1 million left. A $2 billion scooter company. What a damn world.